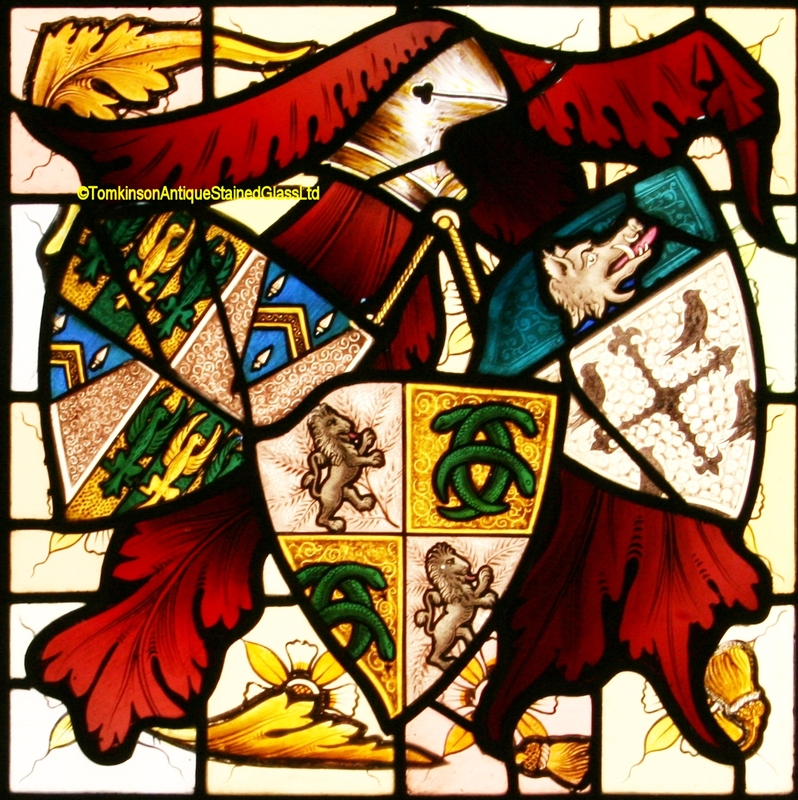 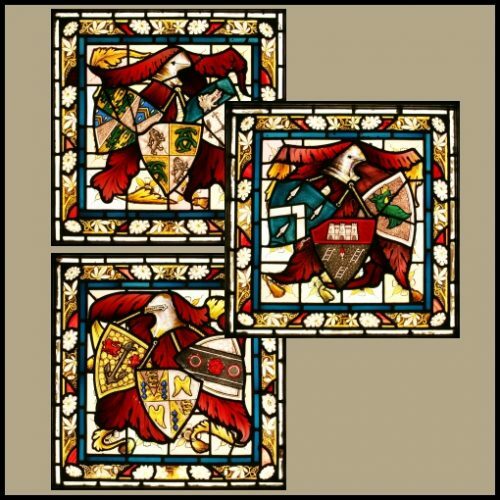 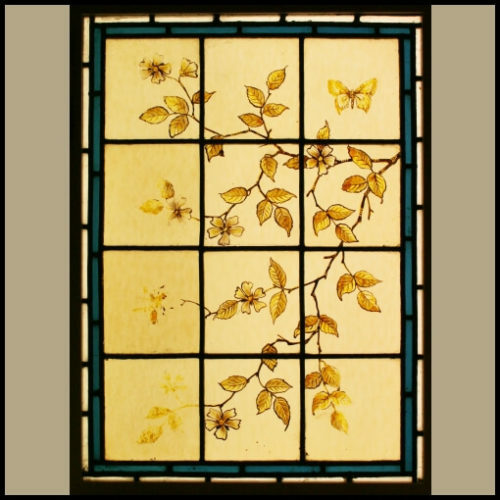 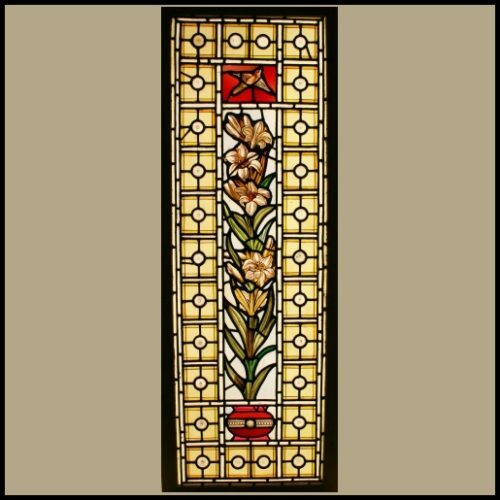 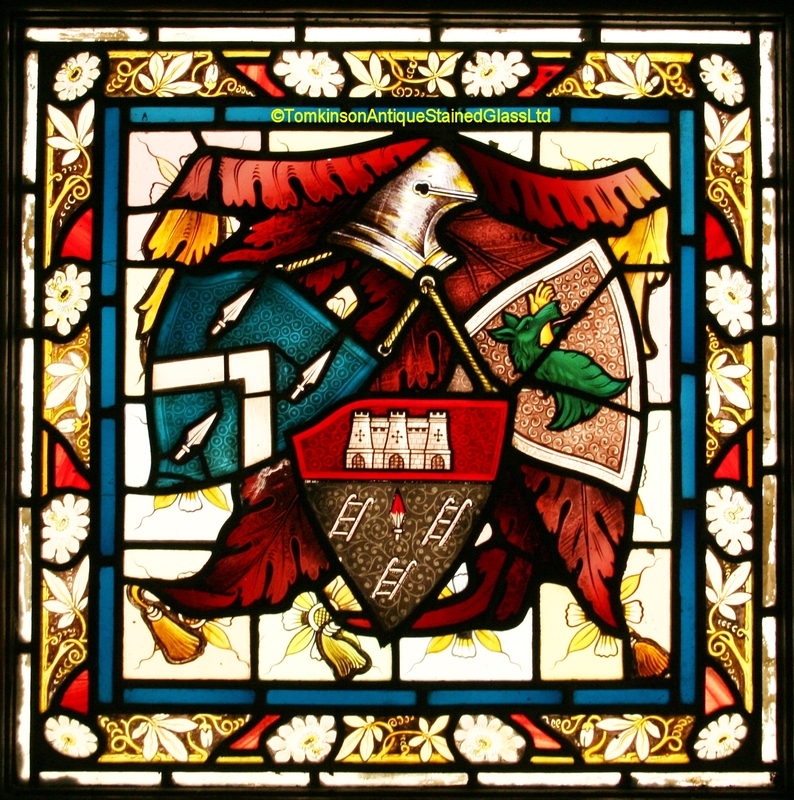 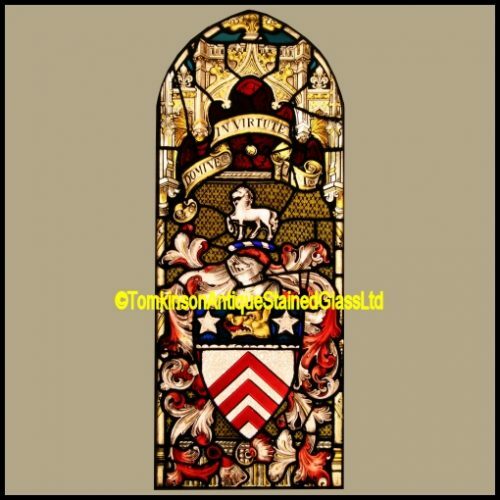 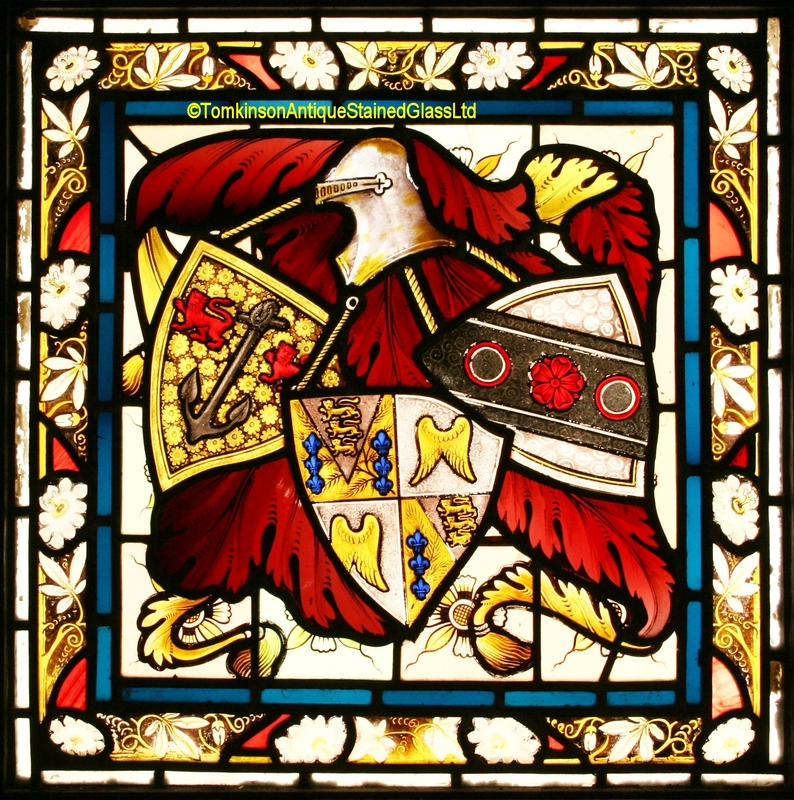 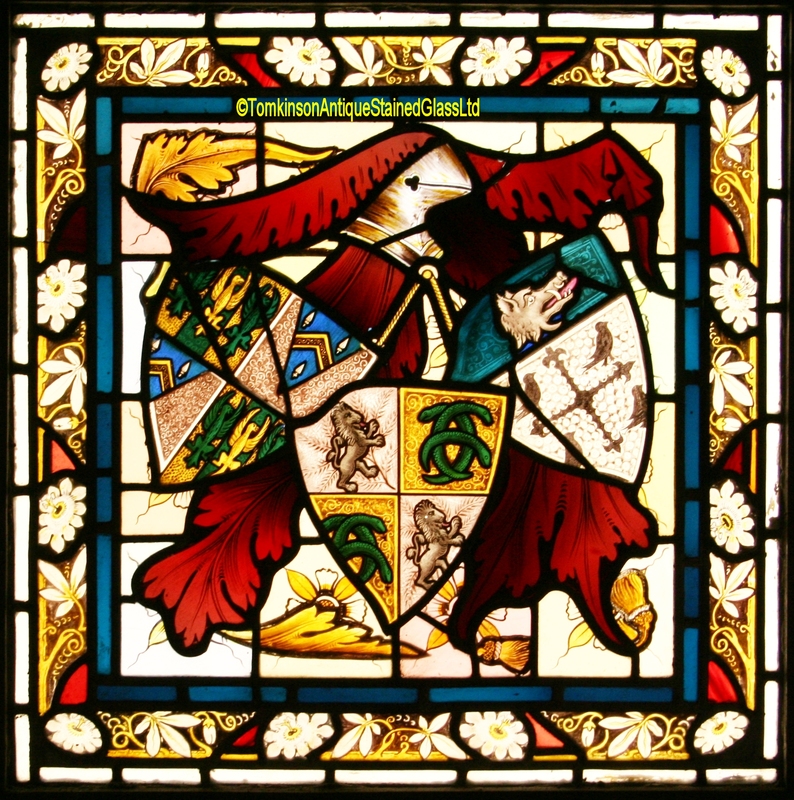 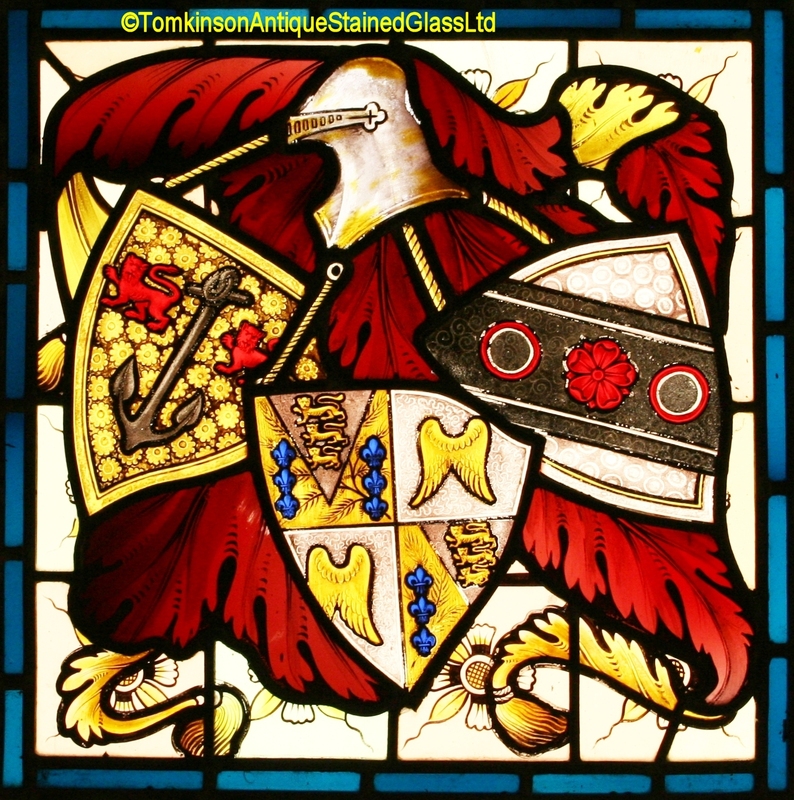 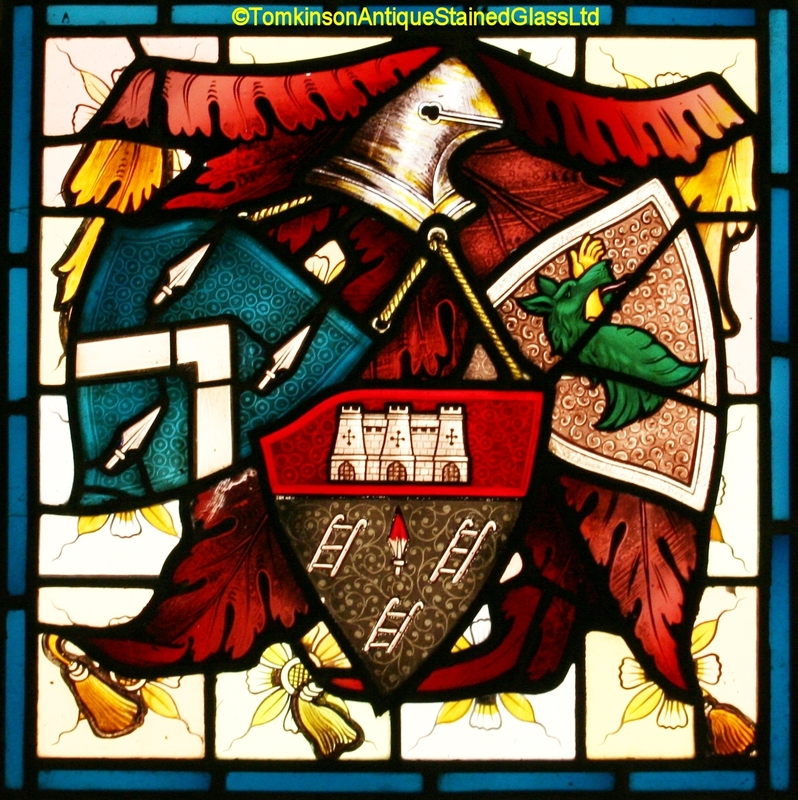 3 Antique Victorian leaded stained glass panels, each hand painted depicting the coats of arms of the Davies-Evens family. 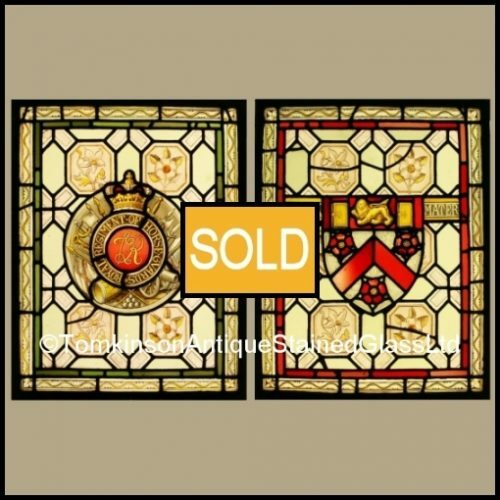 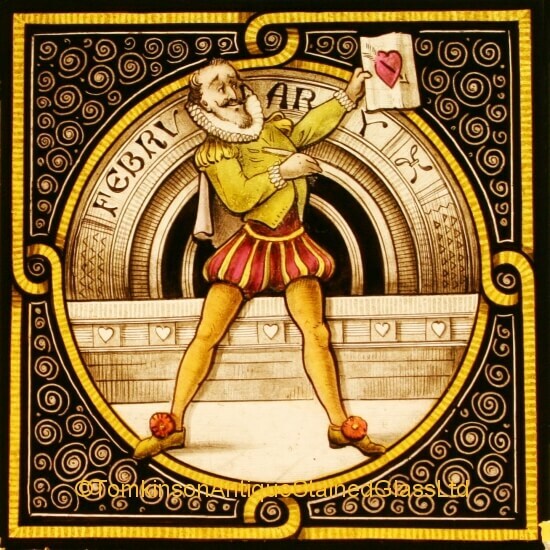 Each window has 3 decorative armorial shields on a background of stylised flower squares and with a pretty Passion Flower boarder. 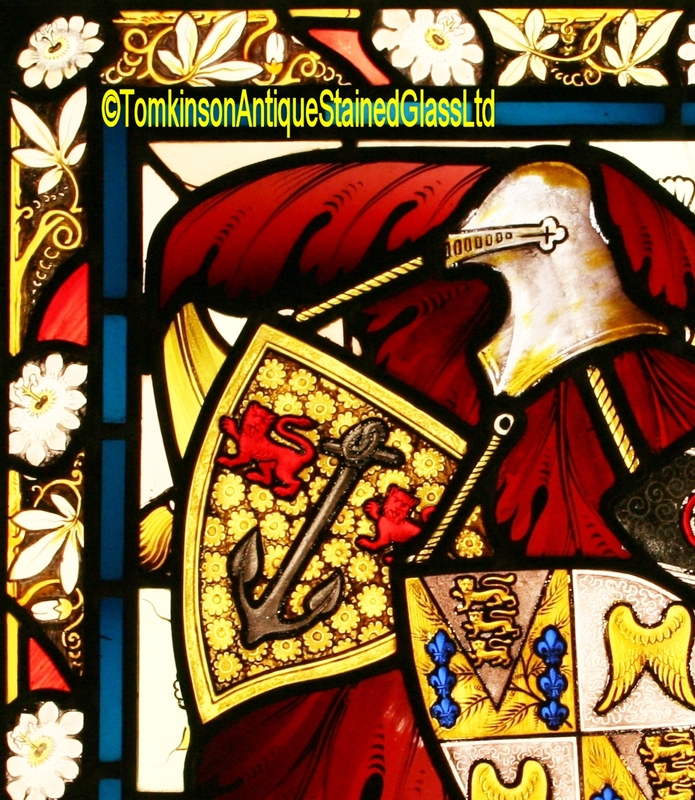 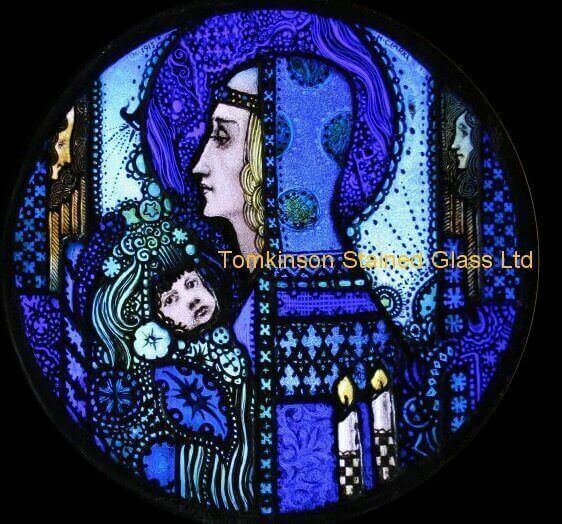 All in excellent original condition and in original wooden frames. 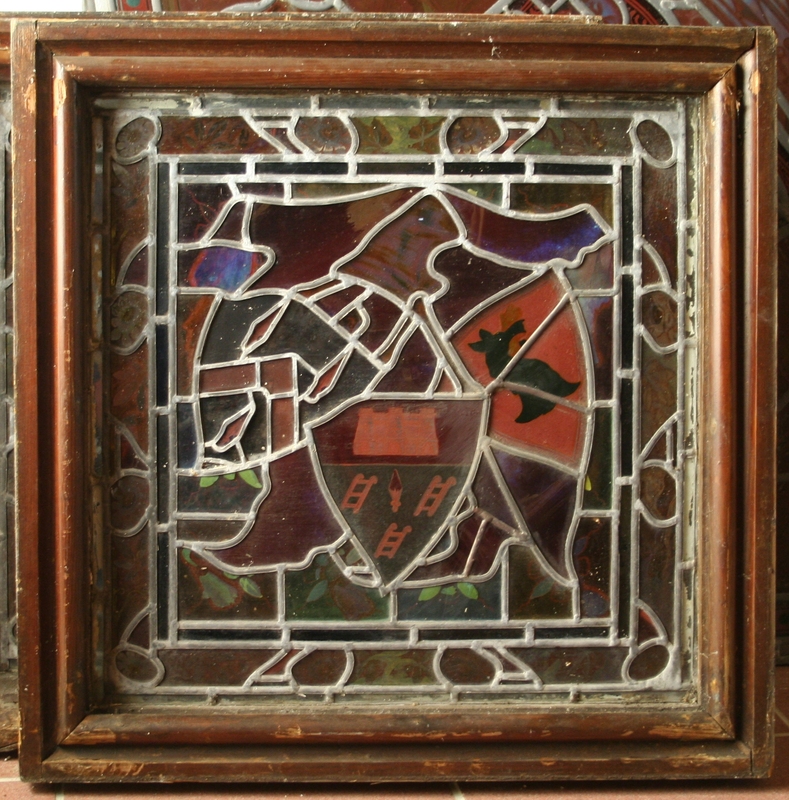 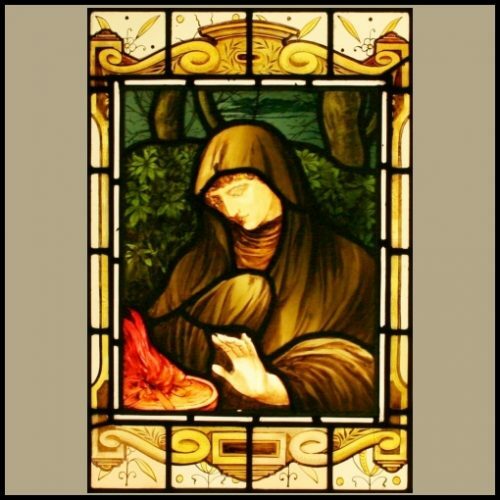 Provance: Removed from the Davies-Evens family house – Highmead, near Llanbyther, Carmarthenshire Wales, during refurbishment.